A Turkish Hammam, also known as a Turkish Bath or Hamam, is a Middle Eastern type of public bathing, cleansing and relaxing. It has been strongly embedded in Turkish and Islamic culture for many centuries. Fortunately, you don’t always need to travel to Turkey in order to enjoy an authentic Turkish hammam, as this popular sauna and spa tradition has spread to large parts of the western world in recent times. So let’s have a closer look at what a Turkish hamam is and find out you should try it out at least once in your life. The Turkish hammam is a mix of two ancient bathing cultures. 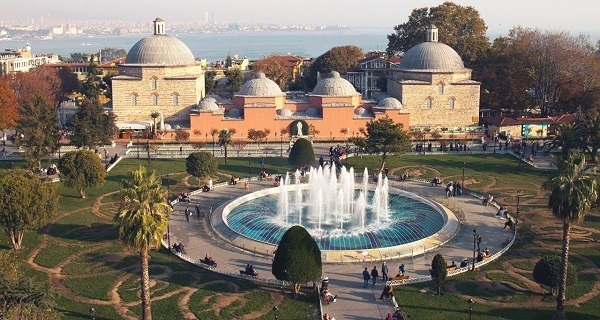 When the Ottoman empire conquered Constantinople (now Istanbul, capital of Turkey) from the Romans in the 15th century, the Roman style of public bathing slowly merged with the Islamic style of public bathing. The mix between the two was named Turkish Hammam. At its height in the 16th century, the Ottoman Empire reached as far as Egypt, Libya and Algeria in North Africa, and Greece, Hungary and Ukraine in Europe. As such, some of the world’s oldest functioning hammans can be found not only in Turkey but also in countries close by such as Egypt, Syria and Greece. In Islamic culture, bathing or cleansing are common rituals before prayer. This can be a full-body cleanse, or simply a cleanse of the face, hands and feet. 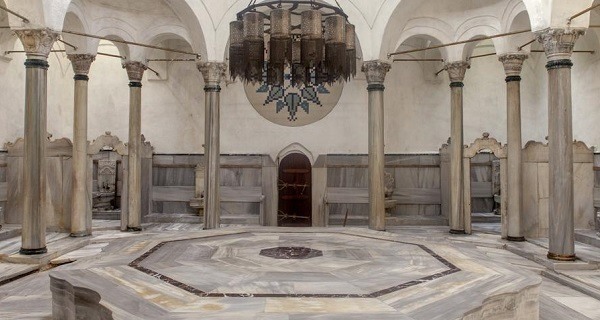 While mosques typically have areas where people can wash themselves, authentic Turkish hammams are public places where one can perform cleansing before going to prayer. So what can you expect when you decide to visit a Turkish Hammam? A full Turkish bath experience is certainly not complicated, but it is a bit of a lengthy process that involves several steps. The purpose of a hammam is to cleanse and to relax, so all steps are geared towards that. An authentic Turkish Hamam experience typically consists of three different steps. As such, a Turkish hammam would typically consist of three rooms where these steps are performed. Let’s go through each of these steps in a bit more detail, keeping in mind that the process may differ slightly depending on which hammam you visit. The first step is to warm up the body before the cleansing process starts. As you enter the hammam, you will be given a towel (or similar) and perhaps a pair of slippers. Should you be naked? This somewhat depends on the Hammam. Some people choose to be naked underneath the towel, others prefer to wear swimmers. Do whatever makes you feel comfortable and don’t be afraid to ask if you’re not sure. You spend a little time in this warm room before you get called into the hot room. In the hot room, you’re asked to lie down on a flat surface, typically a marble style platform or similar. The platform and the room are heated so that you will sweat. You will then be washed and scrubbed with traditional soap. The dead skin cells are then washed away, making you feel revitalized. This process of cleansing, washing and rinsing may be repeated a second time before you can go into the cool room. Keep in mind that while this cleansing process is relaxing, it is also quite intense, and first-timers may even feel somewhat uncomfortable. The primary goal is to actively cleanse the skin and this requires a bit of getting used to. Once the cleansing has been done, you will be escorted to a much cooler room where you will get time to relax. This is perhaps the best part of the full Hammam experience. All the cleansing has been completed and now it’s time to fully relax and to allow your body temperature to get back to normal levels. You may or may not be served refreshments such as tea and some light snacks to enjoy while you’re “recovering” from the cleansing process. So, are you ready for a truly authentic Turkish Bath experience? Do yourself, your mind and your body a favor and visit a Turkish bath. It’s a relaxing yet intense experience that you will absolutely love. The best part? That long-lasting rejuvenated feeling you can enjoy afterwards.